The AWS platform was launched in July 2002 , in the beginning, the platform consisted of only a few disparate tools and services. Then in late 2003, the AWS concept was publicly reformulated when Chris Pinkham and Benjamin Black presented a paper describing a vision for Amazon’s retail computing infrastructure that was completely standardized, completely automated, and would rely extensively on web services for services such as storage and would draw on internal work already underway. Near the end of their paper, they mentioned the possibility of selling access to virtual servers as a service, proposing the company could generate revenue from the new infrastructure investment. In November 2004, the first AWS service launched for public usage: Simple Queue Service (SQS). Thereafter Pinkham and lead developer Christoper Brown developed the Amazon EC2 service, with a team in Cape Town, South Africa. Amazon Web Services was officially re-launched on March 14, 2006, combining the three initial service offerings of Amazon S3 cloud storage, SQS, and EC2. The AWS platform finally provided an integrated suite of core online services, as Chris Pinkham and Benjamin Black had proposed back in 2003, as a service offered to other developers, web sites, client-side applications, and companies. Amazon S3 enables developers to focus on innovating with data, rather than figuring out how to store it. In 2016 Jassy was promoted to CEO of the division. Reflecting the success of AWS, his annual compensation in 2017 hit nearly $36 million. 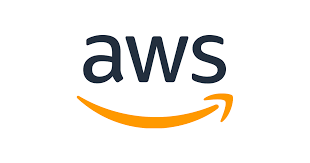 Amazon Web Services (AWS) is a subsidiary of Amazon.com that provides on-demand cloud computing platforms to individuals, companies and governments, on a paid subscription basis. The technology allows subscribers to have at their disposal a full-fledged virtual cluster of computers, available all the time, through the Internet. AWS’s version of virtual computers have most of the attributes of a real computer including hardware (CPU(s) & GPU(s) for processing, local/RAM memory, hard-disk/SSD storage). A choice of operating systems; networking; and pre-loaded application software such as web servers, databases, CRM, etc. Each AWS system also virtualizes its console I/O (keyboard, display, and mouse), allowing AWS subscribers to connect to their AWS system using a modern browser. The browser acts as a window into the virtual computer, letting subscribers log-in, configure and use their virtual systems just as they would a real physical computer. They can choose to deploy their AWS systems to provide internet-based services for their own and their customers’ benefit. The AWS technology is implemented at server farms throughout the world, and maintained by the Amazon subsidiary. Fees are based on a combination of usage, the hardware/OS/software/networking features chosen by the subscriber, required availability, redundancy, security, and service options. Based on what the subscriber needs and pays for, they can reserve a single virtual AWS computer, a cluster of virtual computers, a physical (real) computer dedicated for their exclusive use, or even a cluster of dedicated physical computers. As part of the subscription agreement, Amazon manages, upgrades, and provides industry-standard security to each subscriber’s system. AWS operates from many global geographical regions including 6 in North America. In 2017, AWS comprised more than 90 services spanning a wide range including computin, storage, networking, database, analytics, application services, deployment, management, mobile, developer tools, and tools for the Internet of Things. The most popular include Amazon Elastic Compute Cloud (EC2) and Amazon Simple Storage Service (S3). Most services are not exposed directly to end users, but instead offer functionality through APIs for developers to use in their applications. Amazon Web Services’ offerings are accessed over HTTP, using the Representational state transfer architectural style and Simple Object Access Protocol protocol.